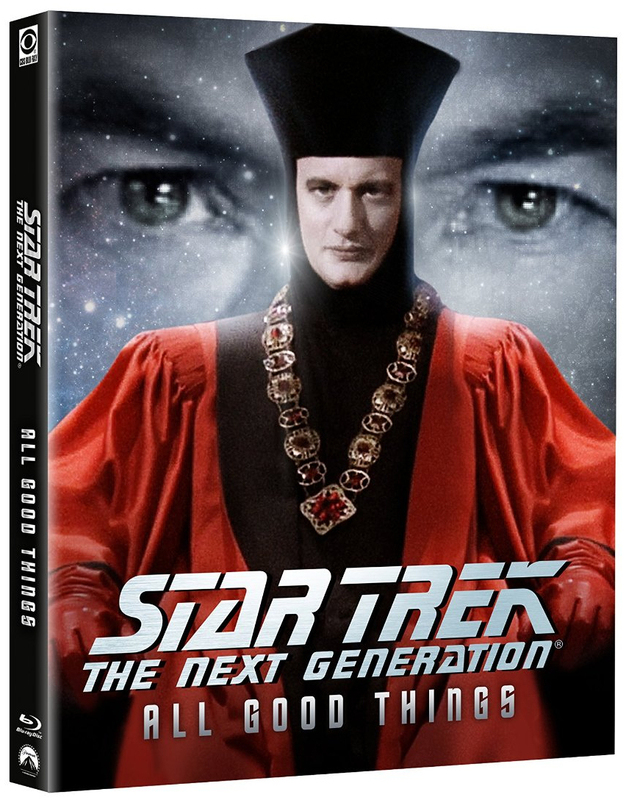 Coming in December is the final set of releases in the TNG bluray project, the Season Seven box set, and stand-alone release of All Good Things... StarTrek.com have revealed the cover art, and released trailers of both. The Seventh Season Blu-ray will boast all 26 final-season episodes and a treasure chest of previously unseen interviews with cast and crew, including the three-part documentary “The Sky’s The Limit: The Eclipse Of Star Trek: The Next Generation” and the featurette “In Conversation: Lensing Star Trek: The Next Generation,” as well as deleted scenes and an unreleased gag reel. All Good Things Blu-ray set presents the two-part epic series finale as a full-length feature remastered into high-definition. The finale is augmented by a newly produced documentary titled “The Unknown Possibilities of Existence: Making ‘All Good Things…,’” new commentaries by Ronald D. Moore and Brannon Braga, and previously unreleased deleted scenes.